There's nothing worse than laying in bed at night tired, but unable to fall asleep. For the average person, living with a few days or even a week of intermittent insomnia is normal. Life stresses can cause the mind to race in all directions, but when you're pregnant, insomnia may have a deeper effect than just a few days of fatigue. 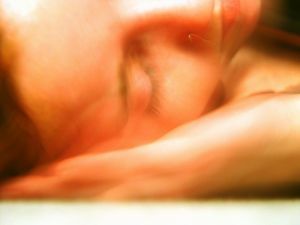 Researchers believe there could be a link between insomnia and preterm birth; particularly if the insomnia occurred around the 20th week of pregnancy. The study, which was published in the Journal of Women's Health, gathered information from women in the 20th and 30th week of gestation. Information about delivery of the pregnancy was also noted. Before taking other factors into consideration, insomnia in the 20th week of gestation appeared to be linked with preterm delivery. However, when researchers considered things like depression, previous preterm birth and environmental factors into consideration, the correlation no longer appeared statistically significant. Are Researchers Missing the Point? Some of the factors taken into consideration in the study included employment, marital status and depression. Depending on which side of the fence the participants fell, these factors could point toward the true cause of insomnia – stress. Stress has a constant looming effect on the psyche and that can wreak havoc on ability to fall asleep and stay asleep. Lacking good sleep can cause fatigue, loss of fine motor function and reduced ability to perform even mundane daily tasks, over time. But when there is another life to take care of – a life that lives inside of the body you're caring for, sleep takes on a whole new meaning. Proper sleep is essential to a healthy, full-term pregnancy, which means pregnant women need to talk with their physician about insomnia and take the proper steps to diagnose and resolve the problem early to reduce possible preterm birth. Source: Michele L. Okun PhD, James F. Luther MA, Stephen R. Wisniewski PhD, Dorothy Sit MD, Beth A. Prairie MD MPH, Katherine L. Wisner MD MS. Disturbed Sleep, a Novel Risk Factor for Preterm Birth? J Womens Health (Larchmt). 2012 January; 21(1): 54–60. doi: 10.1089/jwh.2010.2670. Previous: Do Twins Act the Same In Utero?